Apple began adopting OLED display panels since the launch of iPhone X, and now it is reportedly looking to phase out LCD displays completely by 2020. A new report suggests that this year the iPhone XR₹ 72,484 successor will be the last to sport an LCD display, and 2020 variants will all switch to OLED panels. The report also claims that the iPhone XR’s poor performance has cost Japan Display heavily, and the company is looking for a bailout from Taiwan’s TPK Holdings and Chinese state-owned Silk Road Fund. A new Wall Street Journal report suggests that Apple looks to completely drop LCD display integration in is iPhones by 2020. Notably, this reiterates an earlier WSJ report that cited some people familiar with the matter to claim the company would stick to only OLED displays in 2020. The earlier report also claimed the 2019 iPhone XR successor will be the last to sport an LCD Display, and from 2020, Apple will ditch LCD Displays completely. LCD displays require a standalone separate backlight component, and are less flexible than OLED displays. Even though OLED is expensive, Apple has been shifting to it in a phased manner, with this year’s iPhone XS₹ 92,479 and iPhone XS Max₹ 101,789 variants both sporting OLED displays. Japan Display, supplier of LCD Displays to Apple, has suffered heavily due to this transition, and to add more gashes to its wound, the iPhone XR was not received well in the market – the report adds The let-down has cost the company huge financial losses, and it is reported to be in advanced talks with Taiwan’s TPK Holdings and Chinese state-owned Silk Road Fund for a bailout. The investment would trade for a 30 percent stake in the display-making company. Most OEMs are shifting to OLED displays for its premium smartphone range, and LCD displays are now mostly found on mid-range and low-end smartphones. 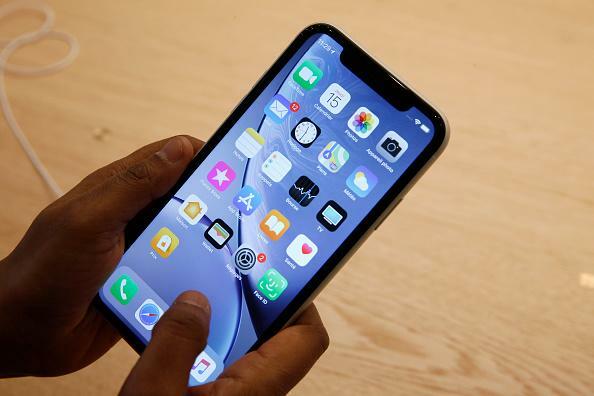 Ditching LCD displays altogether in 2020, Apple may be looking at an ambitious change in the iPhones slated to launch next year. As for 2019, reports reiterate that the iPhone XR successor will sport an LCD display. The company is reported to launch three iPhones this year as well – the top-end model is also tipped to launch with a triple rear camera setup, while the other two will sport dual rear camera setups. Another report claimed the 2019 iPhone models may sport a USB Type-C port instead of a Lightning port A recent report also suggests that the iPhone XR successor will sport the same LTE Antenna setup as the iPhone XS Max (4×4 MIMO antenna layouts), instead of the 2×2 MIMO setup for LTE.